Random Acts is committed to helping eradicate hunger around the globe, and we are doing so by effecting change, one community at a time. 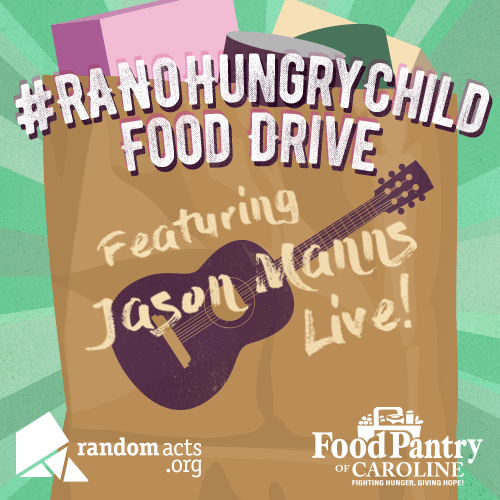 On May 4 from 11am – 6pm, you can find us in Virginia to sponsor a #RANoHungryChild Food Drive at Caroline Recreational Park in Milford – and we want to see you there! What can you expect at this food drive? A little bit of everything! We have games and activities planned, as well as a bounce house, face painting, and planting some seeds. You can also donate to receive tickets for a raffle, with prizes provided by local businesses. Come find Regional Representative US-South East April Vian at the Random Acts booth! But that is not all we have in store. We here at Random Acts love to jam, and nobody puts on a show quite like our friend Jason Manns. He will be headlining the live music event. Jason has been a long time supporter of Random Acts. From recording “A Change is Gonna Come” with Justin Guarini to benefit Jacmel Children’s Center (which he visited with other volunteers in 2013) to helping us pack up and haul hundreds of donated items at the Supernatural convention in Vegas a few weeks ago, he never fails to lend a helping hand. Jason was also one of the tenacious runners for our Bad Idea Tour, which raised funds for this specific cause. He reached out to Random Acts with the idea for this food drive to take place in his hometown, and we are so happy to help him put it on! Baby food and formula, diapers, powder, etc. 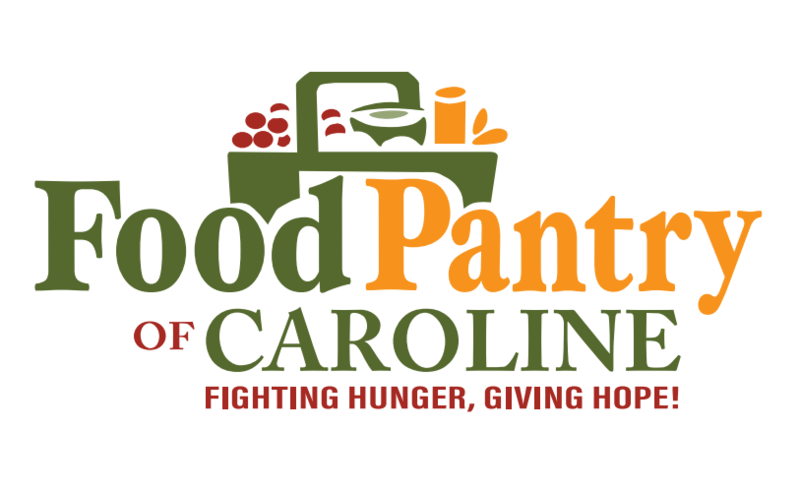 Interested in starting your own food drive? Check out our Sponsored Act page and let us know how you want to help eradicate childhood hunger in your own community.